You know my boys are not little cute trick or treaters anymore, but we do love halloween goodies and handing out candy every year. 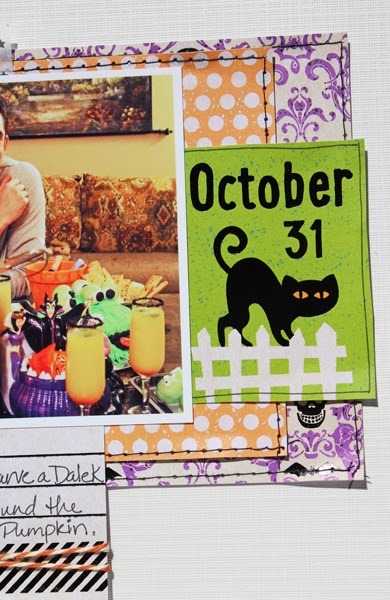 We have treats and cocktails and watch classics like The Ghost and Mr Chicken, Nightmare Before Christmas, Sleepy Hollow... 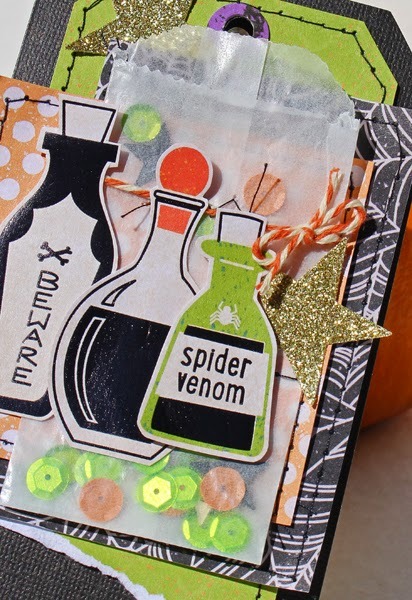 Anyway, I have to share a layout and card I made using the new DCWV "Eek - a - Boo" stack, a DCWV circles stencil and mist, my fave stack - the DCWV gold and black Foiled Vellum stack, and also one of the black glittered papers for the title. I have to point out that the black elements of the papers are foiled (kind of glossy) and its really nice in person, especially on the little bottles that I cut out of one of the papers. Also while I had all the papers out, I decided to make a tag card with some of the bits. I am loving this Susan!! What an awesome page!! Awesome layout Susan!!! What a fun tradition too! 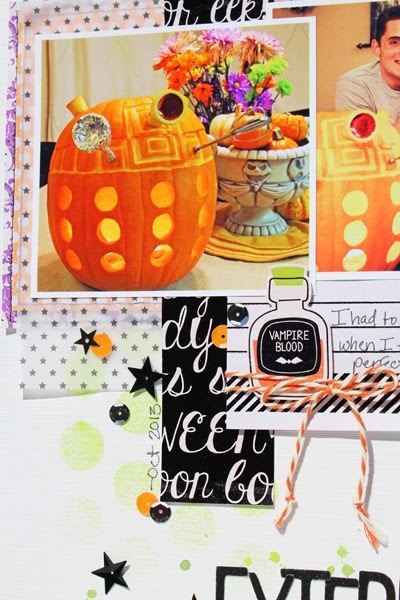 LOVE the pumpkin! I wish we were that talented. Looks super cute. I am loving this stack. 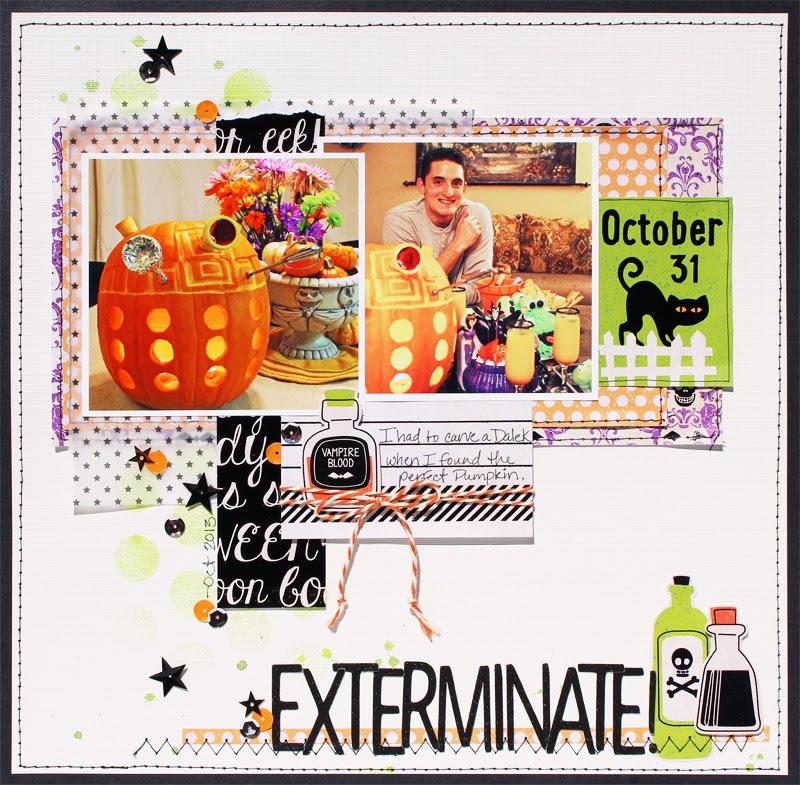 Scraptastic Club Store and Treats! 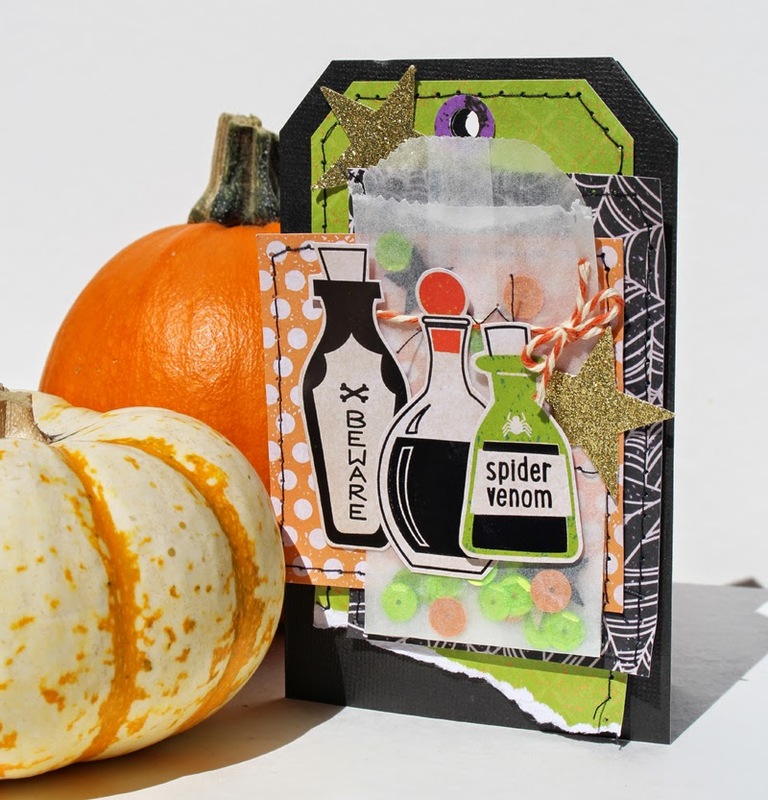 November Scraptastic Club Kit Sneak Peeks!